Shawn Mendes was the first pop star to play 3Arena since Ariana Grande headlined ten days previously. A lot has changed since then and security around the venue was tight, with backpacks prohibited and gig-goers subjected to friendly but firm pat-downs. Mendes obliquely referenced the suicide bombing in Manchester when introducing his hit A Little Too Much, saying he believed music can draw people together no matter their background. As with almost everything the 18 year-old Toronto native said or did, this was met with a deafening chorus from a female fanbase whose enthusiasm made Ed Sheeran’s audience look like hardened misanthropes by comparison. The ginger pop god is an obvious reference point for Mendes who got his break in 2013 via the unlikely medium of defunct social media video tool Vine. A version of Sheeran’s Castle On The Hill kicked off a mid point segment during which Mendes sat a piano in the centre of the room as the crowd waved camera-phones. 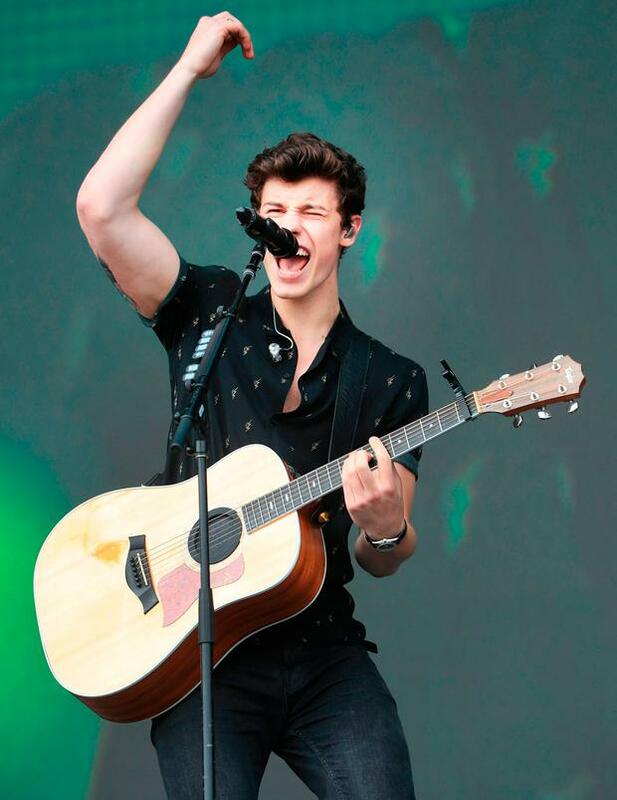 In addition to covering the Englishman’s songs, Mendes has appropriated Sheeran’s goofy, boy-next door persona, so that, with the lights dimmed and a giant glitter ball twirling overhead, he resembled a singing dimple. The spirit of Justin Bieber was also conjured, via Mendes’s sweet voice and toothy Canadian boyishness. Musically, he walked a careful line between harmless and hopeful, his heartfelt lyrics delivered with a puppy-ish smile. Whether he has Sheeran levels of staying power is hard to predict. But this was a commanding performance by a teenager for whom the pleasant shock of overnight fame has yet to wear off.